For the most part, we travel without thinking about dying while on a trip or vacation. When tragedy strikes this often leaves many questioning how “prepared” someone was. While travel insurance is important, being financially prepared for death is more important than just having travel insurance. On a recent trip where I traveled without my wife, for some reason we discussed the fact that “if anything happened” she really did not know how to access everything she would need to. Shortly after, I wrote up instructions to confirm what she needed to do, who to contact, and where to access everything in the event of my death. I showed my wife how to access a (password protected) file with all of my passwords, and also spelled out who my insurance policies are with and how to access them. I even gave her some advice on what to do with the money (i.e. pay off the house, keep a certain amount so you don’t have to think about working for a while, etc.) Sadly, I realized that we never put a solid “what if” plan in place because we (as Americans) don’t like to discuss these things. I’m actually writing this from the plane and I am now committed to having a more solidified plan in place before my next trip without her. Based on our interaction, I wanted to share with you a few things that you should have in your financial plan in the event of a premature or unexpected death. A Will. It amazes me how many people die without a will. A 2016 Gallup poll said that only 44% of Americans had a will, and I suspect it’s partly because we don’t like to talk about dying for the most part. In some cultures it is a bit taboo as people are superstitious about death, thinking, “if they get a will, then the inevitable will happen sooner.” The media often points out when a celebrity dies without a will such as the case for Jimi Hendrix, Prince, Sonny Bono and many others, but the reality is that it impacts every day people who often leave behind families to not only grieve, but to have to fight for what should be left to them. The good news is that it is very affordable to get a will these days. I recommend getting a Legal Services Plan through Legal Shield because on top of having legal protection for a host of legal matters, they will have a lawyer prepare your will at no cost, and update it every year. I am a long time Legal Shield member and I am thankful that they not only offered to draft my will, but to update it annually at no additional cost since I am an active member (it costs less than $25 per month in most states). Life Insurance. Leaving your loved ones early would be horrible from an emotional standpoint. Leaving them broke as a well would just add to their despair. Life insurance is an act of love; it says, “I love you enough to make sure you are provided for in the event of my early death.” The good news is that life insurance does not have to be expensive. As a financial coach, I highly recommend spending the extra money to get whole life insurance because it just has more benefits for you and your family, but don’t let money get in the way of protecting your family. If you need a referral to a trusted life insurance expert in your area let me know. 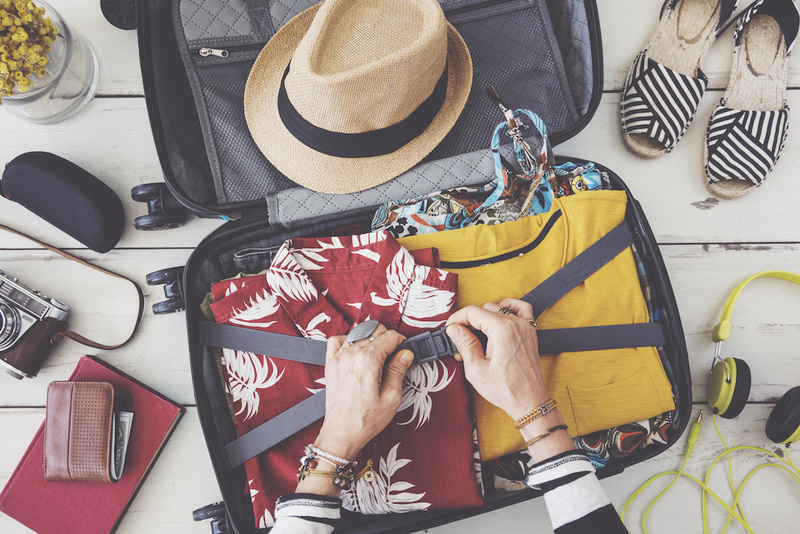 If you don’t have enough life insurance and you are traveling, this is where a travel insurance policy can offer some peace of mind and protection. Just make sure you get a travel insurance policy that covers accidental death because there are many types of travel insurance. Safe Deposit Box. I believe the best place to keep your important documents such as wills and life insurance documents is in a bank safe deposit box. I have this info for myself as well as that of a few family members that have given them to me and I keep them all in the bank safe deposit box. A Financial Plan. The other side of life insurance is knowing what to do with the money. I advocate having enough money to pay of any large debt (i.e. mortgage) and also having enough money so that the surviving family members can live off of the interest of the lump sum left. This might make you rethink your life insurance planning, but we typically need more than we would think. Here is an example. Let’s say you have a mortgage of $150,000 and other debts of $25,000. Let’s also say that you have a $50,000 income. I would recommend having $1.5 Million in life insurance. Why? If you take out $175,000 to pay off the mortgage and the debt, that would leave you with $1.325 Million. If you deposit that money and earn 4%, that will give your survivors $53,000 in income. Passwords. We keep so much locked down with passwords, so it is important that couples are on the same page with how to access financial websites and information. Also, having access to your survivor’s email or cell phone can help because often times verifications are tied into email or text notifications. So how are you doing? Do you have all of those in place? If so, great job… spread he word to help someone else who might not be as well prepared. If you don’t, then feel free to reach out to me for help. I am happy to point you in the right direction. Most of all, put this stuff behind you so you can enjoy your next trip without worrying about your loved ones in bad shape financially.